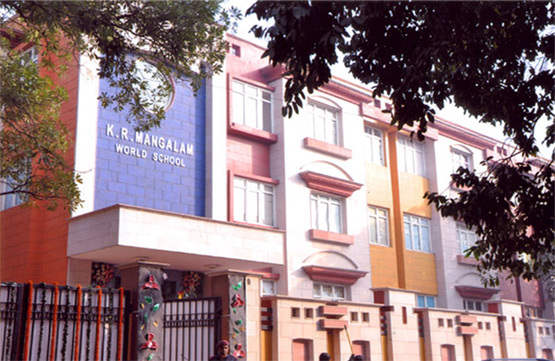 K.R.Mangalam World School at a glance. The concept of ‘Our World’, forms the basis of K. R. Mangalam. Learning, irrespective of the source, is learning K. R. Mangalam would derive from the world over, to educate and inspire children towards achievement. Every country, every place, every religion and every action, and every reaction teaches us something. K. R. Mangalam would be a continuous process of amalgamation. Amalgamation of strengths of the newer things that happen in our own world. Of things that have happened in the past.And of things that can happen in the future. Civilizations, religions, cultures, habits, people, places, and events that have changed the course of mankind are the core subjects of knowledge. In a systematic endeavour, the course curriculum at K. R. Mangalam would be designed to ignite global thinking right from early stages. Eminent people with wide international exposure would be inducted to guide and train the students. Books, CDs and other resources would bear a broad universal perspective and would encompass a wide spectrum of activities. Special knowledge centers would be created on various themes for the benefit of students interested in different areas.